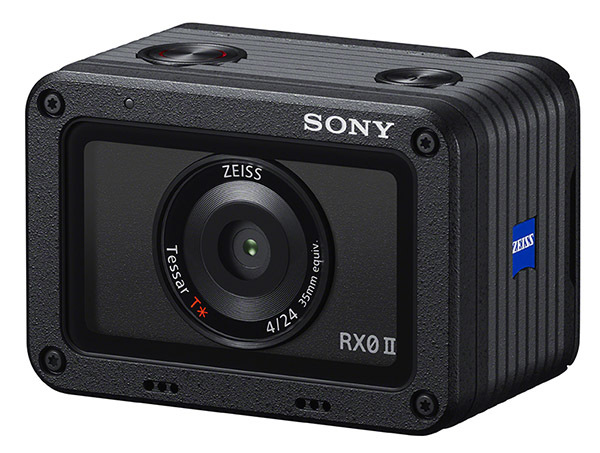 Sony has announced their next generation RX0 II ultra-compact camera that features 4k internal recording and a flip-up screen just like on the new Sony a6400. 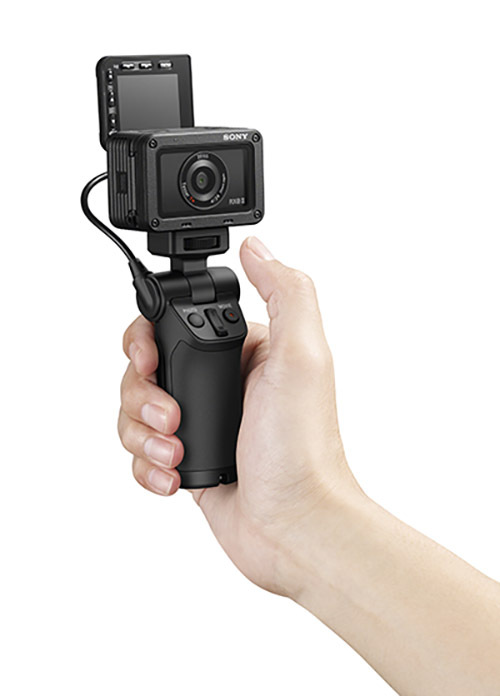 The Sony RX0 II is waterproof up to 10 meters deep, shockproof up to 2 meters, and crushproof up to 440 pounds (200 kilograms) of force. It measures 2.32 x 1.59 x 1.37 inches (59 x 40.5 x 35 millimeters) and weighs 4.65 ounces (132 grams). The waterproof rear LCD panel can now be tilted 180-degrees upwards for vlogging and selfies, as well as 90 degrees downwards. Inside the Sony RX0 II you’ll find a 1-inch stacked 15.3-megapixel Exmor RS image sensor and BIONZ X image processor that is now capable of 4K30 internal recording with full pixel readout and no pixel binning. The RX0 II can also record Super Slow Motion up to 1,000 fps. The fixed wide-angle lens is a Zeiss 24mm f/4 and is capable of close focusing up to 7.87 inches (20 centimeters). The ISO sensitivity range runs from 80 to 12,800. 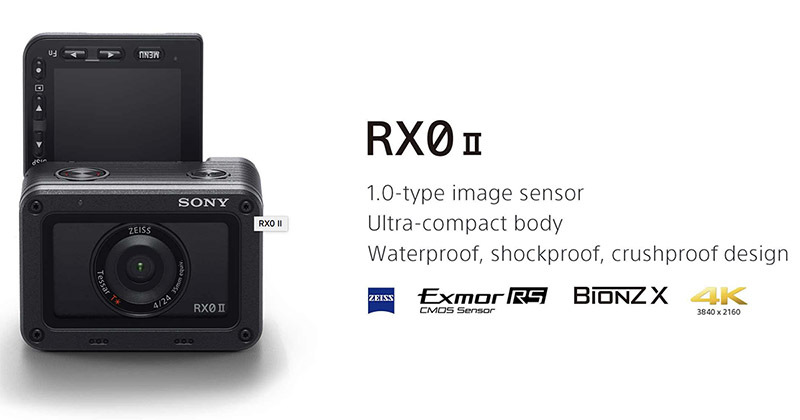 The RX0 II also features in-body image stabilization, although it is electronic stabilization and not optical. 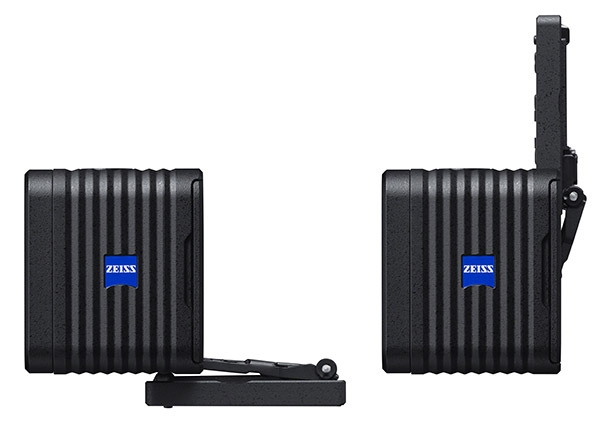 The anti-distortion shutter is capable of 1/32,000 second exposures up to 16 fps. The Sony RX0 II will be priced at $698 in the US and will begin shipping next month, pre-orders start on Thursday, March 28. In Europe the RX0 II (kit) with the VCT-SGR1 Shooting Grip and bracket will ship in May 2019, priced at approximately €800 / £730. There is no price for the body only in Europe available right now. Further details and sample images can be found on Sony’s website here.